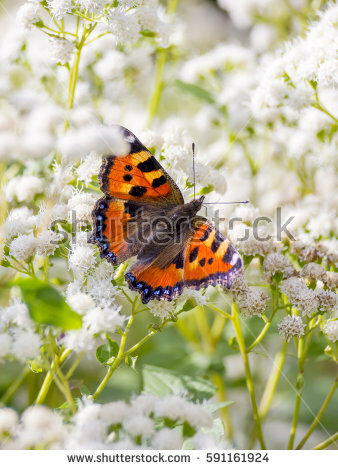 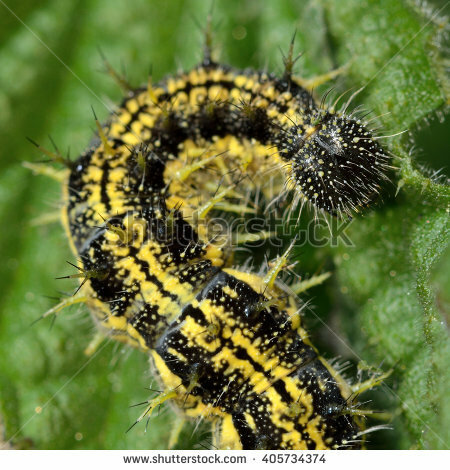 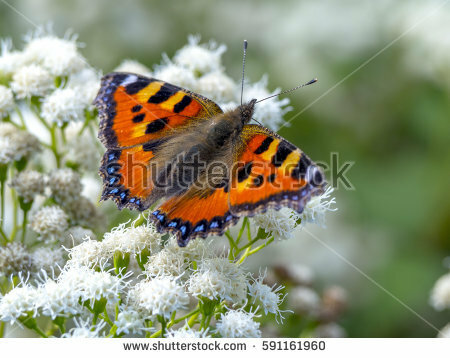 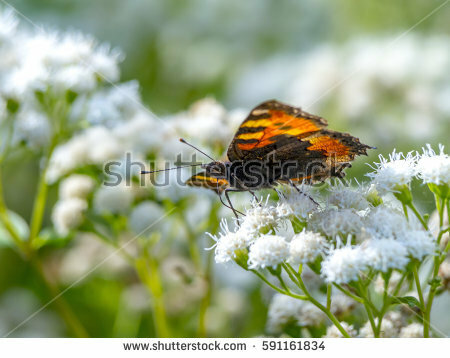 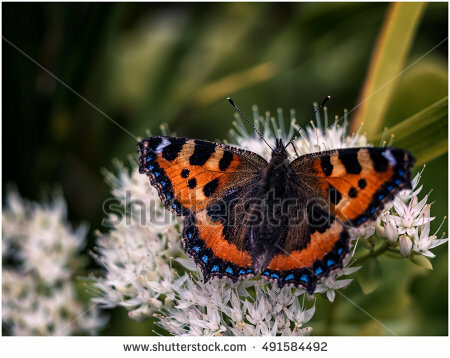 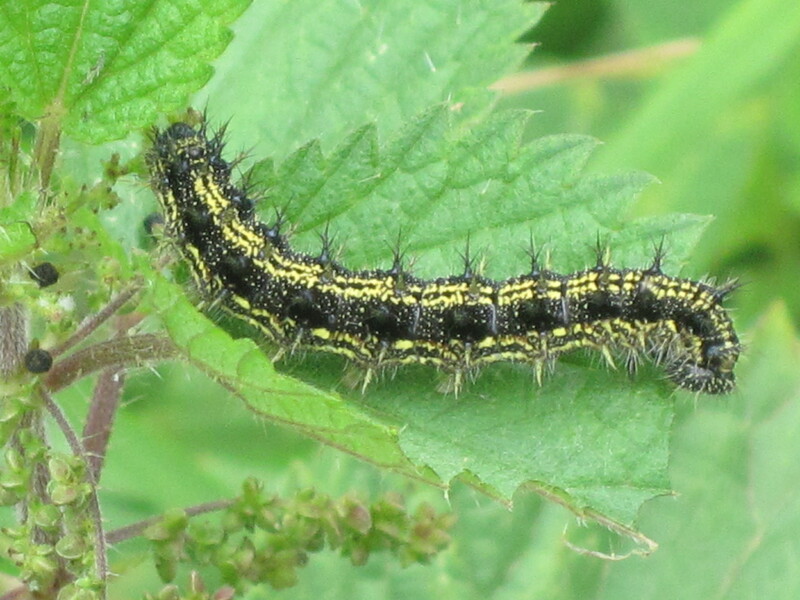 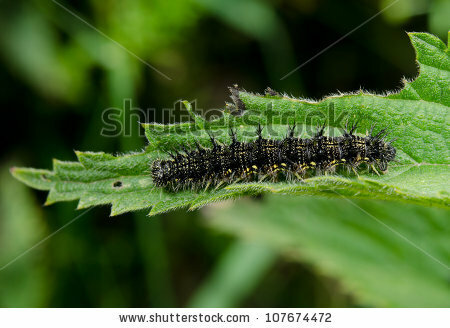 European Small Tortoiseshell butterfly (Aglais urticae) foraging on a hemp-agrimony flower. 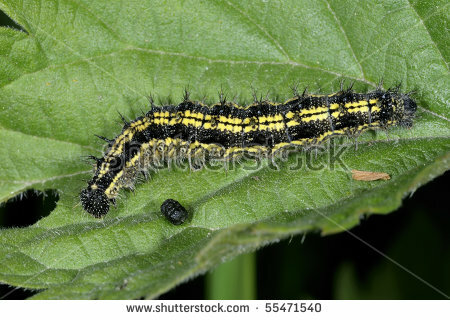 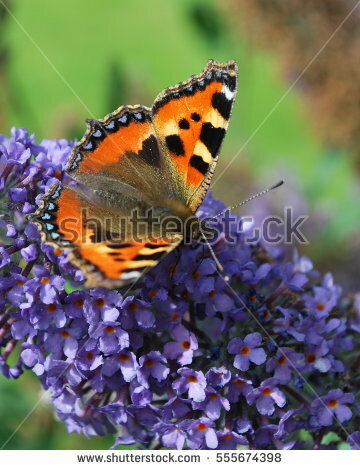 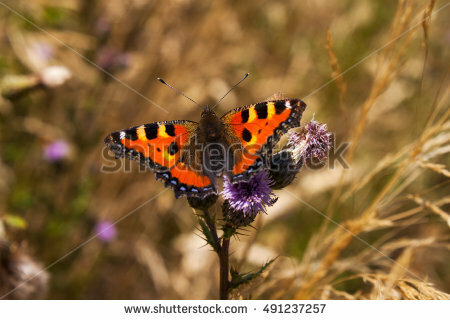 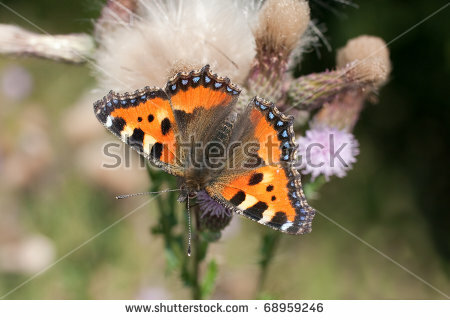 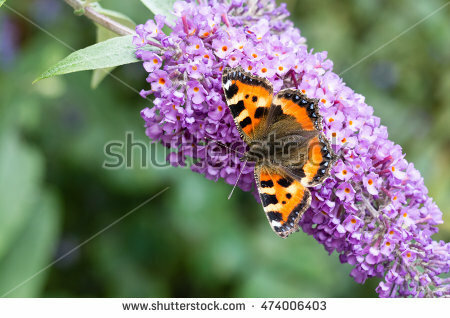 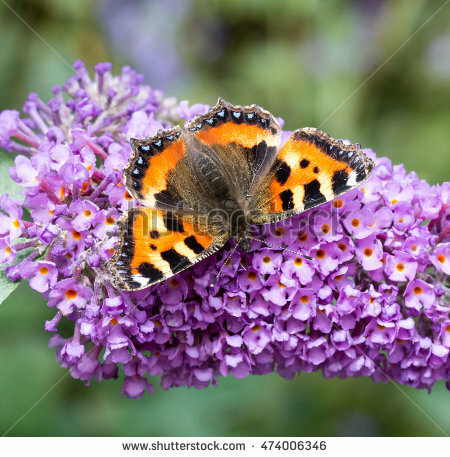 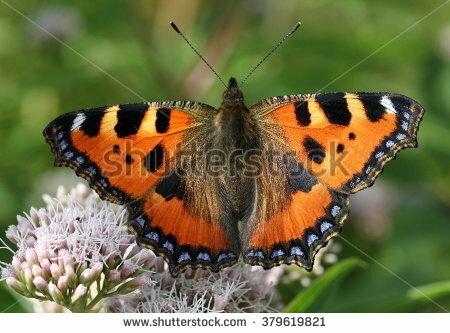 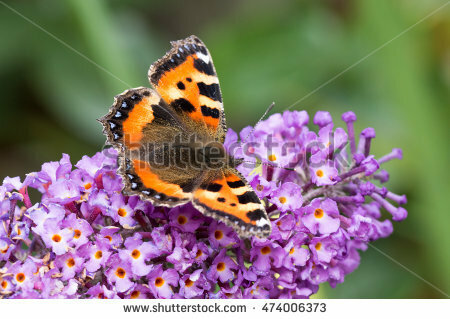 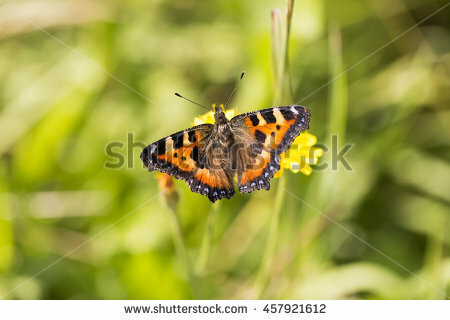 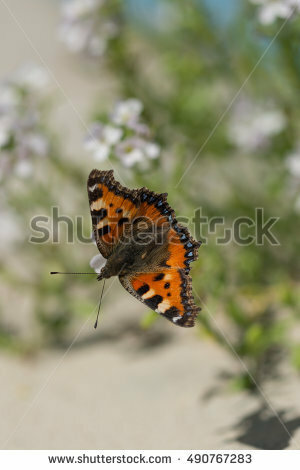 Portrait of small tortoiseshell butterfly on the flower. 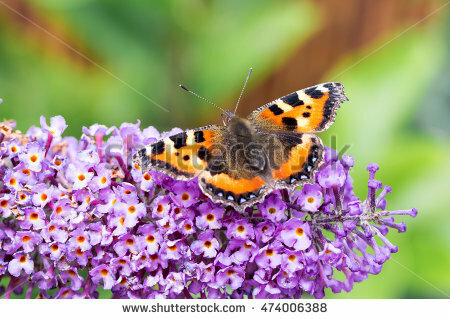 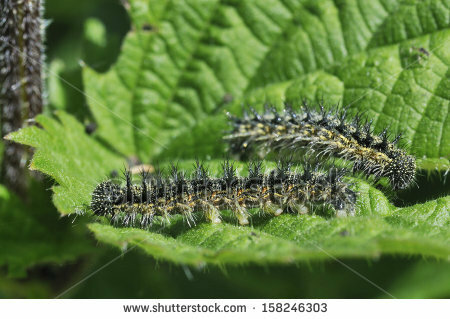 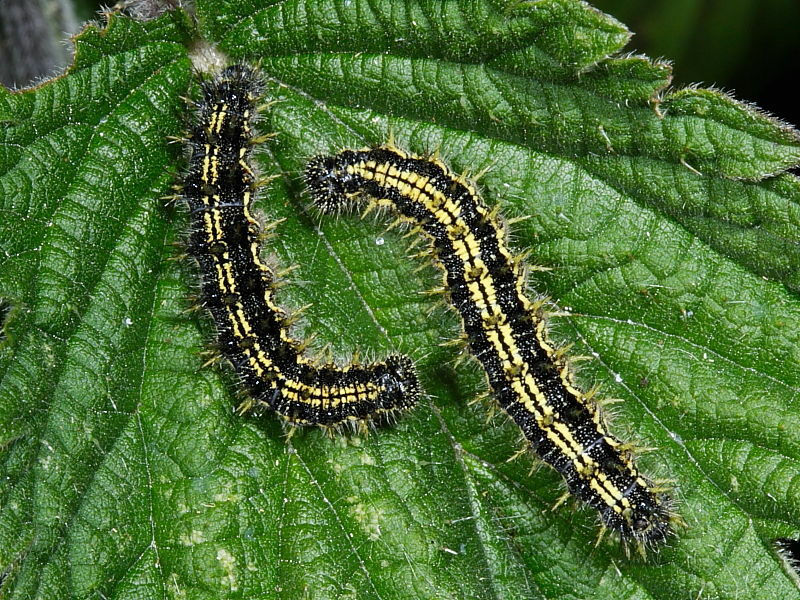 Photography of wildlife.